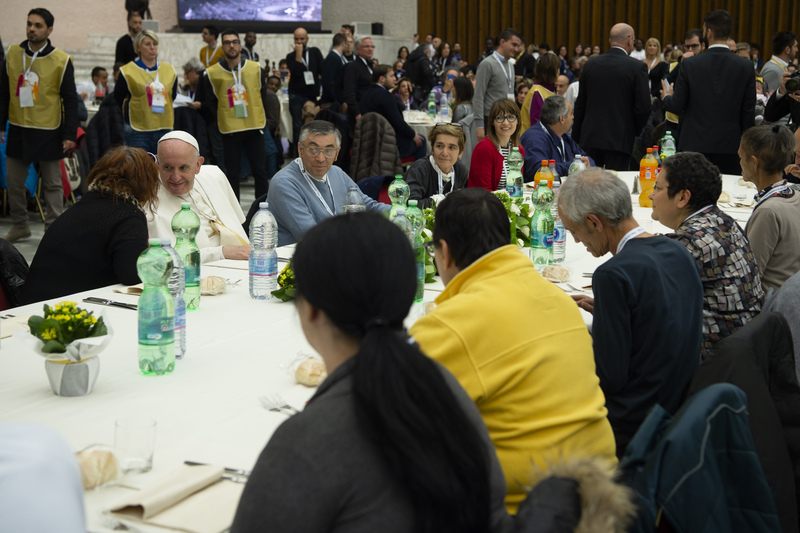 On November 18, 2018, he made that lunch recommendation come true for some 1,500 poor people and volunteers, who hs joined for the midday meal in Paul VI Hall in the Vatican. The menu included lasagna, chicken morsels, mashed potatoes, and tiramisu. “Thank you all so much for the company,” the Holy Father told the group. “Now they tell me that the real party begins and the Pope has to go away because the party is good! Before leaving, Pope Francis greeted the children, the people present and took a picture with the cooks.